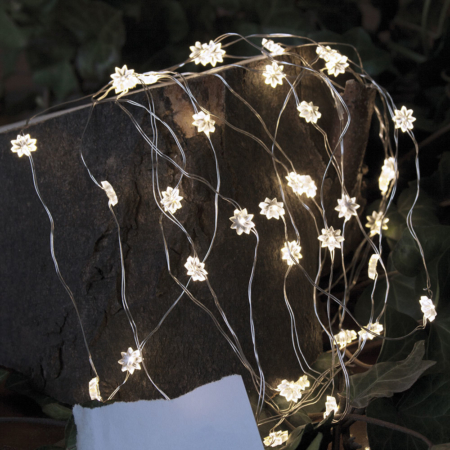 The Nynne led string has an ultra fine green wire with 40 snowflake led lights. 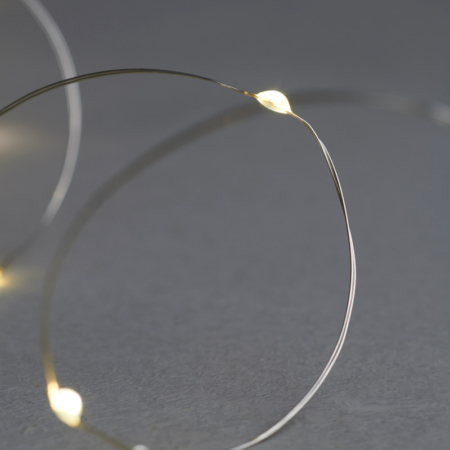 The wire is 3,9 m long and the led lights give a warm, natural light. 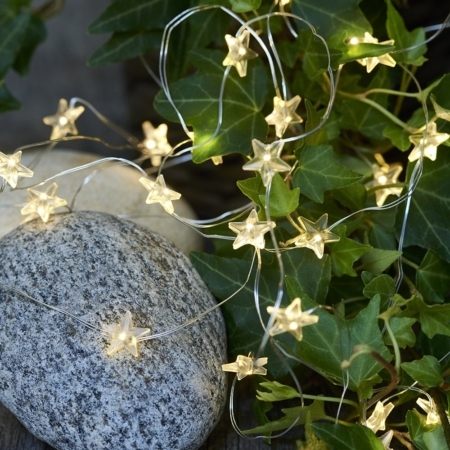 The led string is battery operated and has a timer function: it will turn off automaticly after 6 hours, (if you don´t turn them off your self). 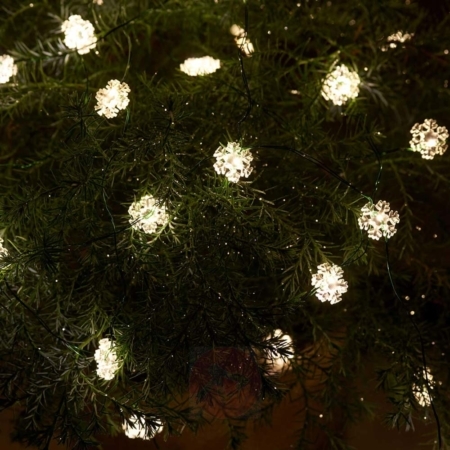 After 18 hours, the LED Lights will turn on again, and so it continues, if you do not use “off” button. Uses 2 x AA batteries. Batteries are not included. Does not function with the Sirius Remote Control.